Championship leader Andrea Dovizioso (Mission Winnow Ducati) leads an incredibly tight MotoGP™ field at the end of play on Friday at the Gran Premio Motul de la República Argentina, a mini qualifying session at the end of FP2 seeing the Ducati man head Jack Miller (Pramac Racing) by 0.009. 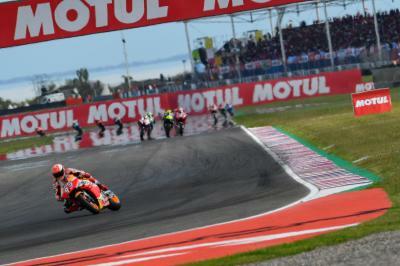 It was FP1 leader Marc Marquez (Repsol Honda Team) who set the pace throughout the second Free Practice session in Argentina, before a flurry of quick times were thrown in during the final seven minutes of Friday as the fresh rubber was put on, despite a slight threat of rain in the air. Nothing came of the changing weather though and it was Franco Morbidelli (Petronas Yamaha SRT) who set the first time on a fresh set of tyres to go to P2, with Miguel Oliveira (Red Bull KTM Tech 3) dipping his toes in the top ten in the latter stages too. Cal Crutchlow (LCR Honda Castrol) then set the red sectors to topple Marquez’ time, as almost every rider started setting personal best laps as the battle for the automatic Q2 places heated up. 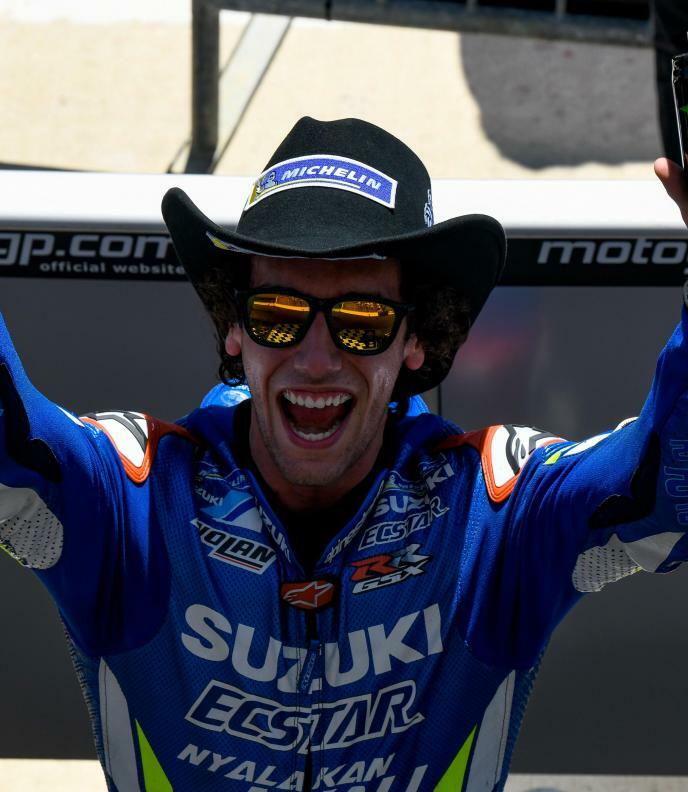 Miller jumped up to P1 by over a tenth to move the goalposts further, the Australian recovering from an early crash at Turn 13 in FP2 before fellow Ducati rider Dovizioso went another 0.009 seconds quicker to jump to P1 from 16th – a time that would go unbeaten. Maverick Viñales (Monster Energy Yamaha MotoGP), despite complaining about the rear grip on the opening day, managed to set the third fastest lap time with a minute to go in FP2, the Spaniard 0.164 back from Dovi. 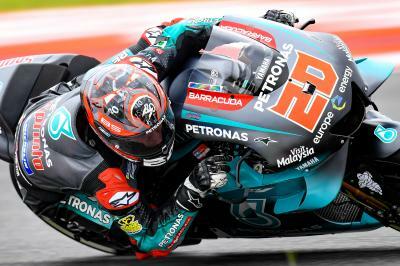 Fourth went to Crutchlow, with fifth place Fabio Quartararo (Petronas Yamaha SRT) producing the good again to end Friday in fifth place – 0.176 from P1 for the rookie. 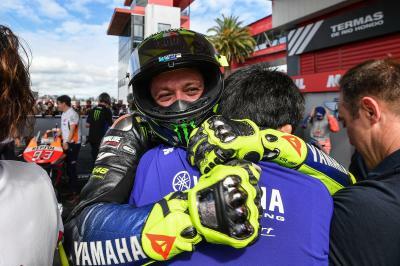 The Frenchman heads nine-time World Champion Valentino Rossi (Monster Energy Yamaha MotoGP), ‘The Doctor’ going quicker in the final stages of the session to grab a provisional automatic Q2 place. The Italian, who looks to have good pace this weekend, heads Alex Rins (Team Suzuki Ecstar) by just 0.010, the Spaniard sitting 0.270 from Dovizioso’s time, with Marquez being pushed down to P8. 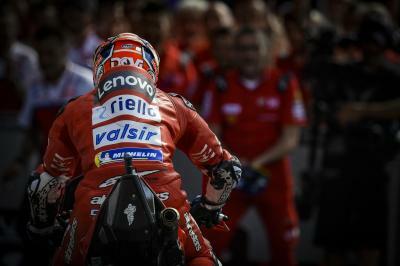 The reigning World Champion one of, if not the only rider to not put fresh rubber in as FP2 ended though. Completing the top ten and provisional automatic Q2 spots was ninth place Morbidelli and tenth place Takaaki Nakagami (LCR Honda Idemitsu) as just 0.448 covered the aforementioned riders. 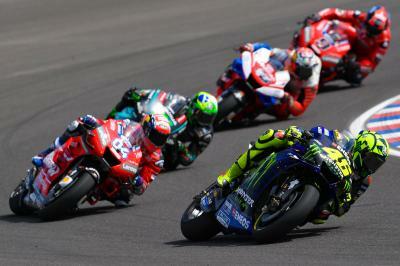 The top 21 riders are covered by less than a second after Friday’s track action at Termas. An incredible timesheet sets us up for a barnstormer of a Saturday in South America, with FP3, FP4 and qualifying to come. 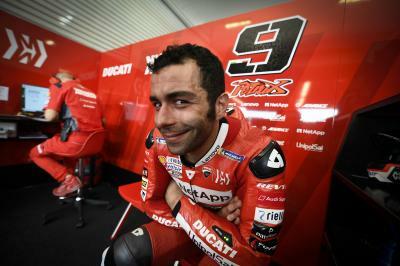 Will anyone be able to break into the top ten in the third Free Practice session? Find out when the premier class head out on track at 10:50 local time (GMT-3).